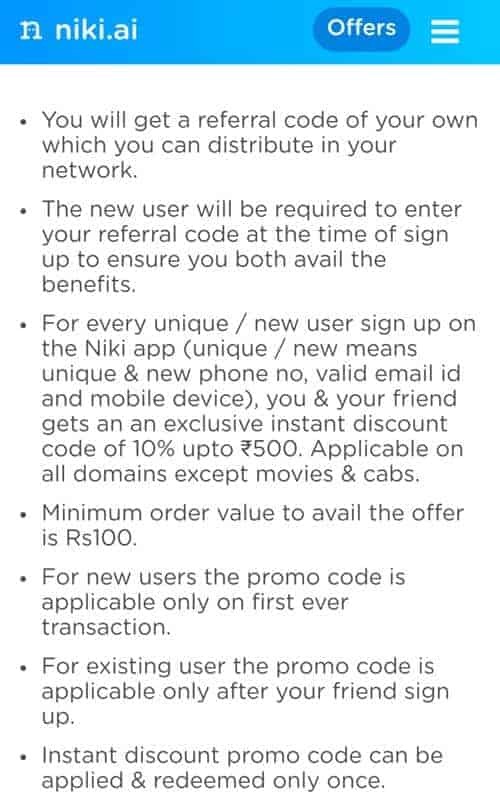 Now use Niki new user offer, signup offer: Your friend needs to signup using your Niki referral code and as soon as he/she do a transaction of Min 100 Rs, you both will get 10% off promo code. This promo code can be used on any transaction except movies and cabs. Maximum discount is 500 Rs. You can Invite the unlimited number of friends and earn unlimited in Niki Refer and earn offer. One more benefit of this App is, you can pay via Amazon Balance to do Recharges or Bill Payments. So by using Amazon Pay offers, you can save extra money on your Recharges/ Postpaid/Electricity etc bill payments. Update - 2018.11.26I’ve updated post with the latest terms and conditions. How to Apply Niki Promo Code? 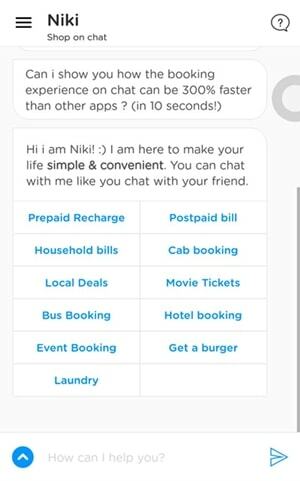 How to Recharge on Niki App? Now Enter your Mobile number and verify it via OTP. 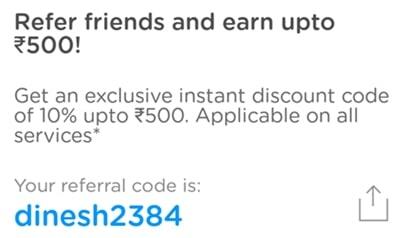 As soon as you signup using Niki Referral code, you will get 10% off (Maximum 500 Rs) Promo Code on your registered Email and Mobile number. 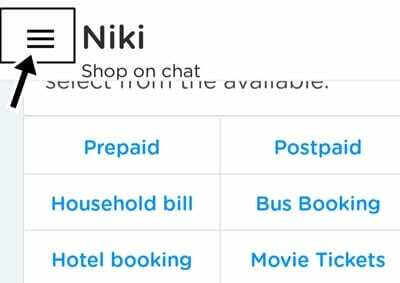 You can use this promo code to Recharge/DTH/ Electricity Bill Payment or any service on Niki App except Movies & Cabs. Enjoy Niki new user offer! 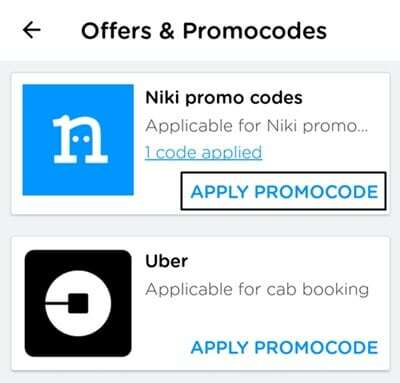 Under “Niki Promo Codes” option, Tap on Apply Promo Code. Now enter promo code which you received on your registered Mobile number and Email ID after signup and tap on Apply button. That’s it, now do any transaction except Movies & Cabs, and you will get 10% discount instantly (Maximum 500 Rs). This App works on Artificial Intelligence (AI), so it has a different UI than all other Recharge Apps but it’s very simple also. Just follow given steps to successfully do your Mobile Recharge or any Bill Payment. If you want to do Mobile Recharge, Click on Prepaid Recharge. That’s it, It will automatically apply your available Niki balance and pay remaining amount via Amazon balance, Debit/Credit Cards/Netbanking etc. Ask your friend to Enter your Niki App referral code while signup. You and your friend both will get 10% off upto 500 Rs promo code. The best part of this offer, you can invite an unlimited number of friends and earn an unlimited 10% off promo codes. Enjoy Niki Refer & earn offer! For any queries, please drop a comment below! Also, don’t forget to share this post with your friends and family!! This is the only site I found which keep updating latest referral information. Thank you Dinesh, you’re awesome. Just got a call from Niki AI. 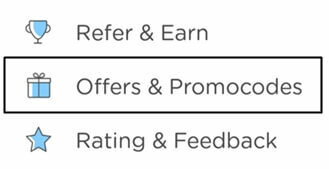 As per their latest referral policy, the new user does not get any credits on using the referral code. Only the person whose referral code has been used gets 30 credits when the referred user makes 2 transactions above Rs. 100. So there’s nothing in it for a new user. Niki AI New users : No need to use any referral code, it won’t benefit YOU in any case. Hi Arjan, They keep changing their referral terms every few days. When this post was updated last time, they were offering 30 Rs on Signup (new user). They can change it again anytime and if someone signup that time without referral code, he/she may lose signup credits. So it’s always beneficial to use a referral code while signup, it will not harm in any way. Also, they are offering 75 credits after your friend’s 2 successful transactions worth 100 Rs or more. 50 credits on the 1st transaction worth 100 Rs or more + 25 credits on the 2nd transaction worth 100 Rs or more. So you got wrong info about referral terms.